There will be a Public meeting for all in the neighborhood to discuss a proposal from the Madison Parks to install lights above the Water Utility building on May 13'th 6:30pm @ Lapham Elementary School. For a number of years the roof recreational space above the Water Utility Building at Reynolds Park had lighting. This allowed residents and the community at large to be able to extend recreational activity during the shorter Wisconsin days. Madison Bike Polo, along with local residents, have been working with the Madison Parks to get lights back on top of the Water Utility Building. Over the past few years Reynolds park has started to get a few makeover items. 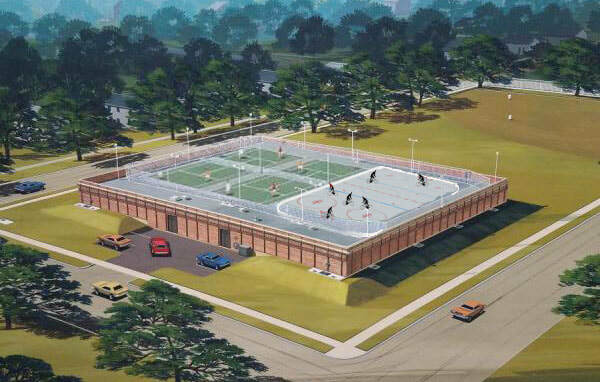 These include the Bike polo court, resurfaced tennis courts, new sod for the grass field, and playground equipment. All these things help establish this park as a growing investment into the community. Installing lights on the Utility Building will provide an extended time of play for those using that space for tennis, polo, soccer and families. Currently without lights after 4:30pm in the fall it is too dark to use. It will also help gain more interest and usage because of the extended time. Lighting will be another step into providing a bit of safety to the park as a whole. Currently the Madison Parks are working with a company to assess ways to put lighting back on top. Please visit this link to read more about the project. A community meeting will be held on May 13th at 6:30pm @ Lapham Elementary School. We encourage all users of the facility to help promote the potential enhancements of our favorite park. IF you want more info or want to get an email on when those meetings will be held please contact us. 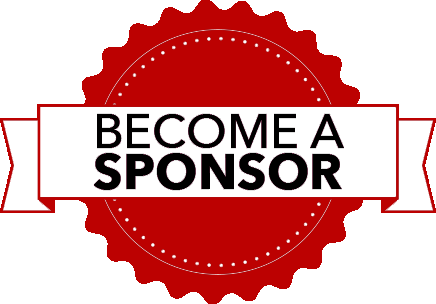 We are in the process of looking for sponsors. If you would like to help sponsor this event please contact us. Awesome Polo Action Details Coming! Top competitors will be here to play and enjoy the awesome atmosphere that only the THUNDERDOME can handle. Details to come soon! This polo tournament is about meeting new people and stepping up the game of polo. Not playing, no worries come out and cheer everyone on and learn a bit more about Madison's roof top sport. Since 2006, Madison Bike Polo has been a powerful force in the Midwest bike polo community and deeply connected to the larger global scene. Playing atop the brick building located at Reynolds Field park nicknamed the Thunderdome— a stones throw from Breeze Stevens— since about 2008, the crew has continued to develop new players and grow the sport. Pick up games typically happen on Tuesday & Thursday evenings and Sunday afternoons. All are welcome, you can spectate or jump on a bike and try it out. Scroll down to learn more! Throw back to the old days of Mad Bike Polo. Lot has changed since then, including updated website. All genders are welcome and encouraged to try it out, bike polo has always been a mixed gender sport. Don’t ride a bike? Thats fine! Many people who start playing bike polo do so before being avid riders. There will always be bikes and equipment to try out. (But if you have a helmet or grippy/padded gloves lying around, bring ‘em!) We play most Tuesday & Thursday evenings during warm months and Sunday afternoons. Check our Facebook page for more up to date info. On top of the brick building in the park. Mad Bike Polo has many different faces, we decided to highlight a few. I watched polo for a couple years before starting in 2014. Big thanks to Jenny Spencer of Davis Bike Polo for hosting women-trans-femme practices -- I probably would never have tried polo otherwise. My advice for people who are hesitant to get on the court: there's no time like the present; I wish I had started playing earlier! It looks intimidating, but I had no background in team sports or sports requiring hand-eye coordination. If I can do it, you can, too. We are a friendly and encouraging group of people, and you'll be amazed at what you can do if you give it a shot. This June will be my 3rd anniversary of playing hardcourt bike polo in Madison. I showed up at the courts one day with my StumpJumper and after a short wait we had a game going; people couldn’t be friendlier or more inviting. Now with a few years under my belt my skills have improved and after a few early bikes I now have a real polo bike with a disc brake and a tough tight handling frame/fork. Bike polo players have become some of my best friends and I see them off the court all the time. I enjoy the competitive nature and dynamics of team sports. Bike polo also looks to draw a diverse crowd of interesting and creative people that I don’t believe some other sports do. The bike polo community is a small and tight knit one. "I am so excited I cannot put it into words," said Matthew about Bike polo. Starting polo in early spring of 2017 he picked up the sport after an invite from some new friends. While watching one night he was able to borrow a bike and "try" it out. Being a natural, he picked it up and hasn't stopped. Building up a brand new bike just for Polo and already playing in tournaments in Wisconsin. He has been so busy thinking about playing polo and actually playing polo that he hasn't had the time to write this quick bio himself. We will let him pass since he is out there almost every chance he gets. Come out and try it for yourself.